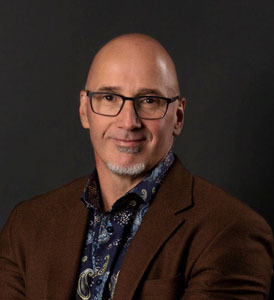 Pat Rivard has an extensive background in Violence Risk Threat Assessment (VTRA) being trained by internationally recognized expert Kevin Cameron, Executive Director of the North American Center of Threat Assessment and Trauma Response (NACTATR). Grounded in his professional experiences as a social worker, which included a 6 year career in Child Welfare and subsequently a two year career as a family counsellor, provides an in-depth understanding of the foundational practices of VTRA. Recently, Pat transitioned from a 18 year career in Education where he served students and communities as a teacher, Principal and 9 years in senior leadership in two school division in Alberta. Pat received an award from NACTATR for his outstanding leadership in the advancement of VTRA practice demonstrating a tireless commitment towards providing safe and caring environments for students and community. Pat is in his third year of being a national trainer for NACTATR. VTRA training will introduce participants to a multi-disciplinary/multi-agency team approach that ensures a coordinated response to you who may be at risk to themselves or others. Participants will be provided with the integral tools integrated in a process to assess the risk levels related to community- based threats. Through a protocol that allows professionals to information share, community based partners create intentional intervention plans that mitigate the escalation of escalating violent behaviors.